Kendrick Lamar, Jay Rock, Future and James Blake came together for “King’s Dead” Video. The cut is featured on Black Panther: The Album which is out now. K-Dot and his people at Top Dawg Entertainment are continuously promoting the album that they were tasked to curate. So far, the project is doing very well and is expected to debut at No. 1 on the Billboard 200 chart next week with a projected 150,000 units in sales in the first week. “King’s Dead” is the second video to be released from the album after dropping “All The Stars” featuring SZA last week. Unlike, the elegant and mythical nature of “All The Stars,” the visuals for “King’s Dead” features a frantic scene resembles a 90s style stock brokerage office. 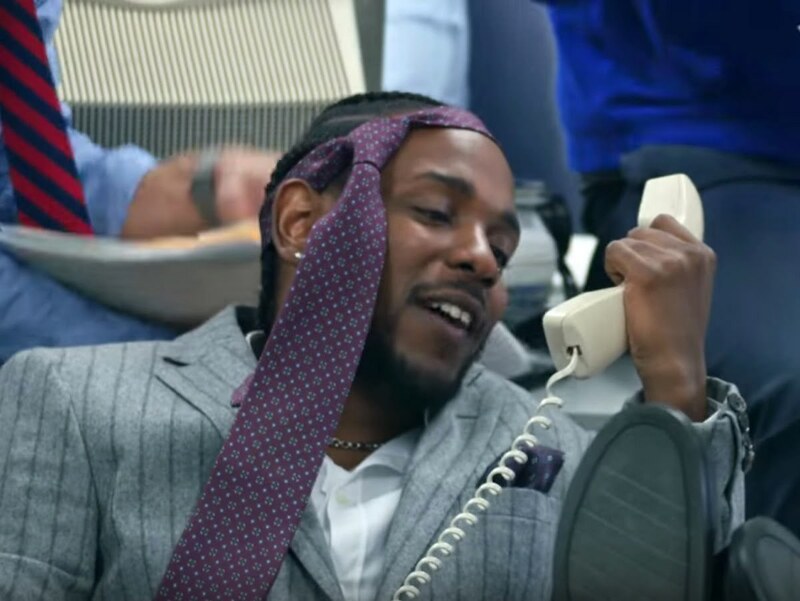 Kendrick Lamar, Jay Rock, Future and James Blake are featured in an office setting with workers frantically working the phones and doing a zillion things at the same time. Other parts of the clip feature K-Dot eating roast corn while sitting in a coconut tree, highlighting life in California in the summer. Next thing you know, Kendrick is standing dangerously in the middle of the streets while cars passes him at high speed within inches. The video was directed by Jack Begart and Dave Free who have both worked with K-Dot and TDE. Watch the video for “King’s Dead” below.